Welcome to Grapevine Physical Therapy & Sports Medicine's patient resource about Cervical Laminectomy. A laminectomy is a surgical procedure to relieve pressure on the spinal cord due to spinal stenosis. In spinal stenosis, bone spurs press against the spinal cord, leading to a condition called myelopathy. Myelopathy can produce problems with the bowels and bladder, disruptions in the way you walk, and impairments with fine motor skills in the hands. 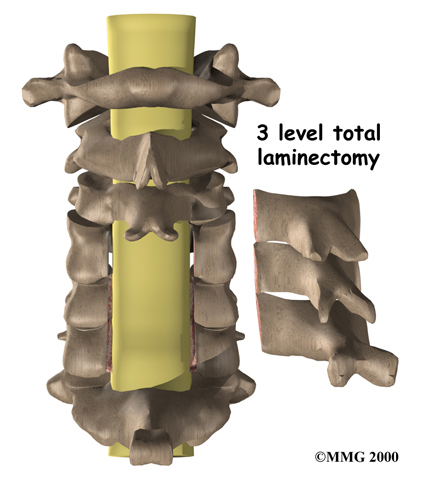 In a laminectomy, a small section of bone covering the back of the spinal cord is removed. 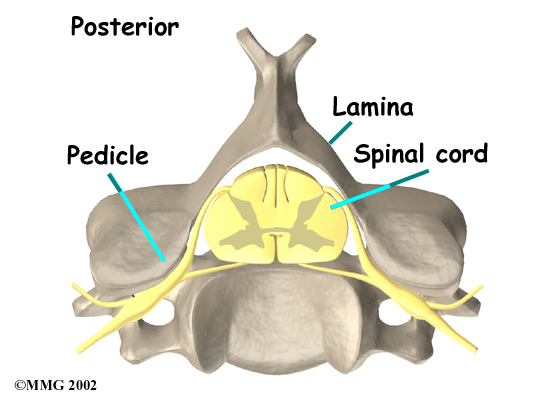 Lamina refers to the roof of bone over the back of the spinal cord, and ectomy means the medical procedure for removing a section of the bony roof to take pressure off the spinal cord. A laminectomy can alleviate the symptoms of spinal stenosis, a condition that causes the spinal cord to become compressed inside the spinal canal. Wear and tear on the spine from aging and from repeated stresses and strains can cause a spinal disc to begin to collapse. This is the first stage of spinal stenosis. As the space between the vertebrae narrows, the posterior longitudinal ligament that attaches behind the vertebral body may buckle and push against the spinal cord. The degenerative process can also cause bone spurs to develop. When these spurs point into the spinal canal, they squeeze the spinal cord. 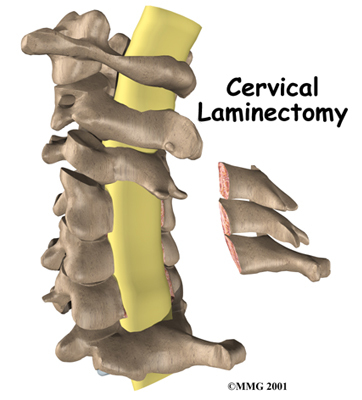 In a laminectomy, the surgeon removes a section of the lamina bone, the buckled parts of the posterior longitudinal ligament, and the bone spurs, taking pressure off the spinal cord. This surgery is usually done with the patient lying face down on the operating table. The surgeon makes an incision down the middle of the back of the neck. The skin and soft tissues are separated to expose the bones along the back of the spine. Some surgeons use a surgical microscope during the procedure to magnify the area they'll be working on. Surgeons have found that complete removal of the laminae loosens the facet joints that connect the back of the spine. This can cause the spine to tilt forward. To avoid this, a hinge can be formed by only cutting partially through the lamina on one side. A second cut is made all the way through the other lamina. This edge is then lifted away from the spinal cord, and the other edge acts like a hinge. 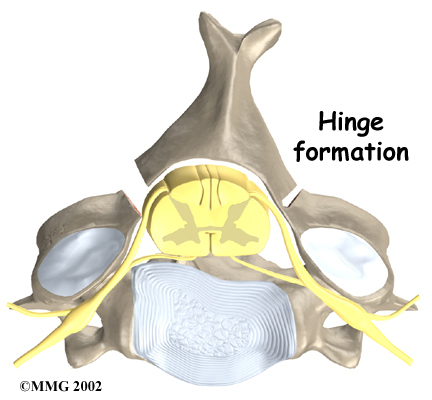 The hinged side forms a bone union, which holds the opposite side open and keeps pressure off the spinal cord. Small cutting instruments may be used to carefully remove soft tissues near the spinal cord. Then the surgeon takes out any small disc fragments and scrapes off nearby bone spurs. 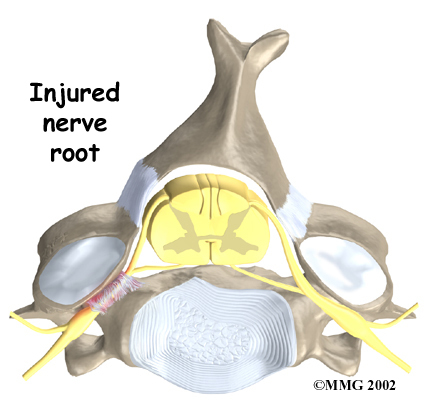 In this way, additional tension and pressure are taken off the spinal cord. The muscles and soft tissues are put back in place, and the skin is stitched together. Patients are usually placed in a neck brace after surgery to keep the neck positioned comfortably. 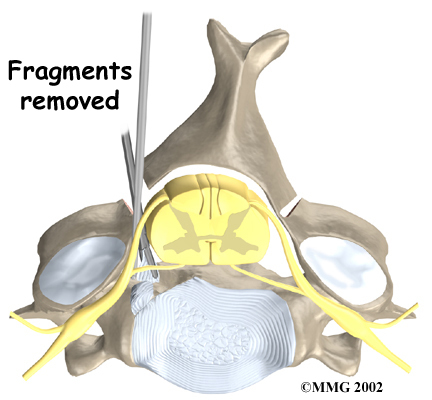 Laminectomy surgery can cause the spinal segment to loosen, making it unstable. The facet joints that connect the back of the spine normally give enough stability, even when the lamina is taken off. This is why surgeons prefer to leave the facet joints in place whenever possible. But these joints may have to be removed if they are enlarged with arthritis. During total laminectomy, the facet joints are removed. This procedure creates extra space around the nerves but often leads to segmental instability. Fusion surgery is generally needed to fix the loose segment. Many patients get nearly complete relief of symptoms from the laminectomy procedure. As with any surgery, however, you should expect some pain afterward. If the pain continues or becomes unbearable, talk to your doctor about treatments that can help control your pain. Patients are usually able to get out of bed within an hour or two after surgery. Your surgeon may have you wear a soft neck collar. If not, you will be instructed to move your neck only carefully and comfortably. Outpatient Physical Therapy is usually prescribed when patients have extra pain or show significant muscle weakness and deconditioning. Although the time required for recovery varies, rehabilitation after laminectomy surgery is generally only needed for a short period of time. If you require outpatient Physical Therapy, you will probably need to attend Physical Therapy sessions at Grapevine Physical Therapy & Sports Medicine for two to four weeks, and should expect full recovery to take up to three months. At first, our treatments are used to help control pain and inflammation. Our Physical Therapist may use ice, electrical stimulation, massage and other hands-on treatments to ease muscle spasm and pain. We will then slowly add active treatments. These include exercises for improving heart and lung function. Walking, stationary cycling, and arm cycling are ideal cardiovascular exercises. Our Physical Therapists also teach specific exercises to help tone and control the muscles that stabilize the neck and upper back. We will work with you on how to move and do activities. This form of treatment, called body mechanics, is used to help you develop new movement habits. This training helps you keep your neck in safe positions as you go about your work and daily activities. At first, this may be as simple as helping you learn how to move safely and easily in and out of bed, how to get dressed and undressed, and how to do some of your routine activities. Then we'll teach you how to keep your neck safe while you lift and carry items and as you begin to do other heavier activities. As your condition improves, our Physical Therapist will begin tailoring your program to help prepare you to go back to work. 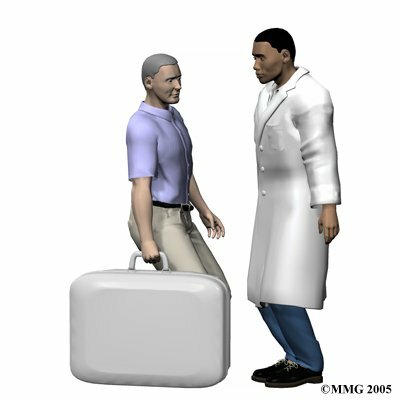 Some patients are not able to go back to a previous job that requires heavy and strenuous tasks. We may suggest changes in job tasks that enable you to go back to your previous job. 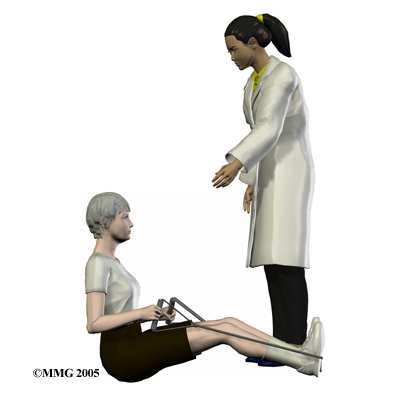 Our Physical Therapist can also provide ideas for alternate forms of work. You'll learn to do your tasks in ways that keep your neck safe and free of extra strain.